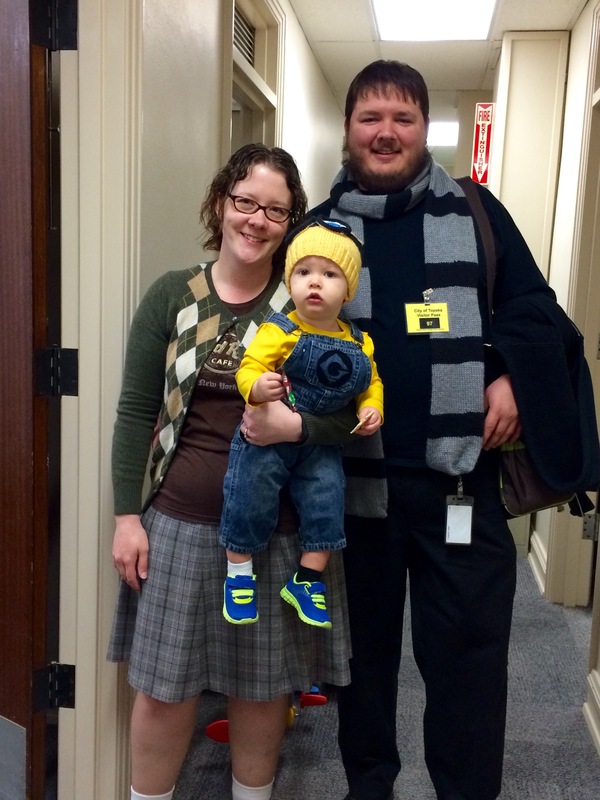 Happy Halloween from The hubby, Jellybean, and this happy knitter! I made it! This one has been done for a few days I just haven’t gotten around to blogging it. That my friends is a LOT of freaking yarn…. Pattern: My own improvised pattern. Rav notes are here. 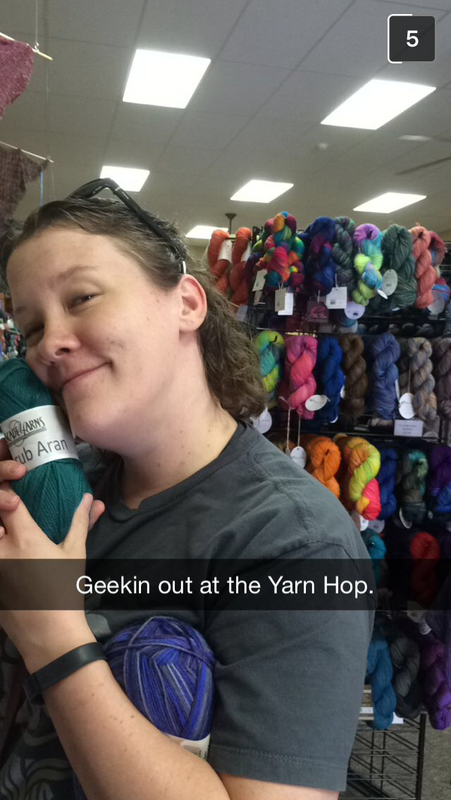 Today rounds out the last stop of my yarn hop. But first I had to share a photo of my oldest and dearest friend who joined me for the Salina and Abilene leg even thought she’s not a knitter. She sure is a good friend! This last stop was the The Shivering Sheep in Abilene KS. This shop was teeny tiny but had basement space. It was really quaint but a little hard to maneuver in with all the hop traffic. I’m not sure this shop will be on my regular rotation but was very nice to visit. I still managed to find somethings I couldn’t live without. First up I picked a Hiya Hiya sheep-y needle sizer. I’ve needed one lately as the markings have become faded on my favorite needles and I’m garbage at guessing. Next up was some purple Regia Garden Effects for some hardy wearing wool socks. 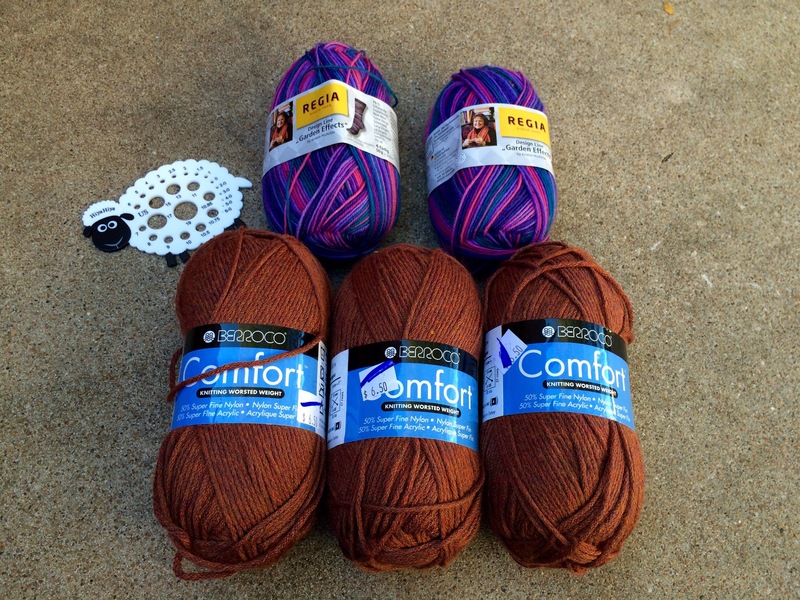 And lastly some Berroco Comfort in a nice brown for a sweater for Jellybean to round out his winter wardrobe. Tomorrow I promise I’ll have some actual knitting to show you and not just pretty yarn. Until then, happy knitting!! 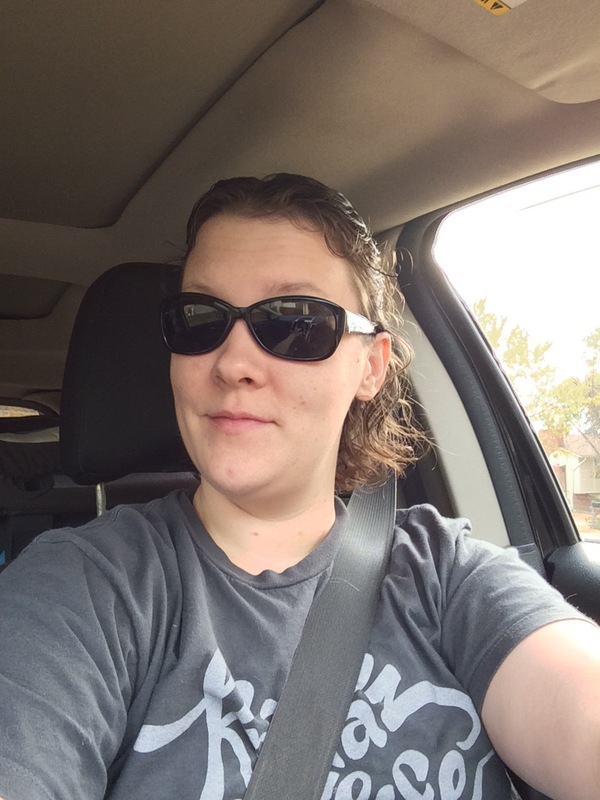 Okay, stop number four is up today. 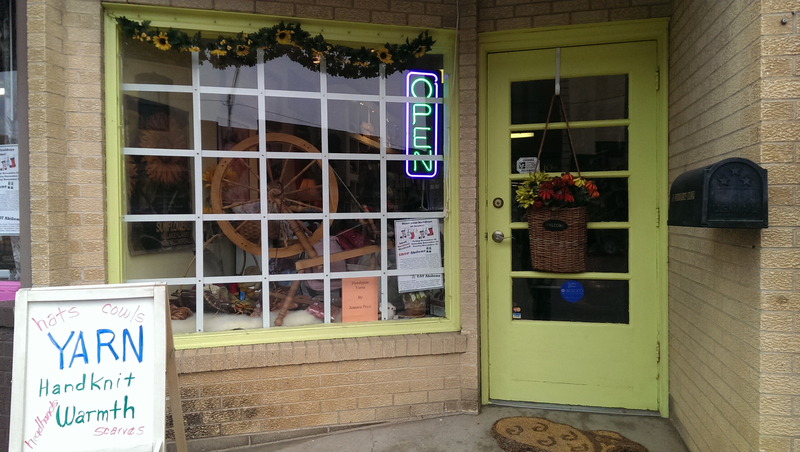 It was Yarns Sold and Told in Salina, KS. I have been to this store a number of times and loved them all. The staff is so friendly and helpful. The yarn selection is good and I kinda fell down hard again at this store, lol. It was also at this point that I got kind of tired and forgot to keep taking photos. Below is a lovely snapchat grab from my friend who joined me at this stop. 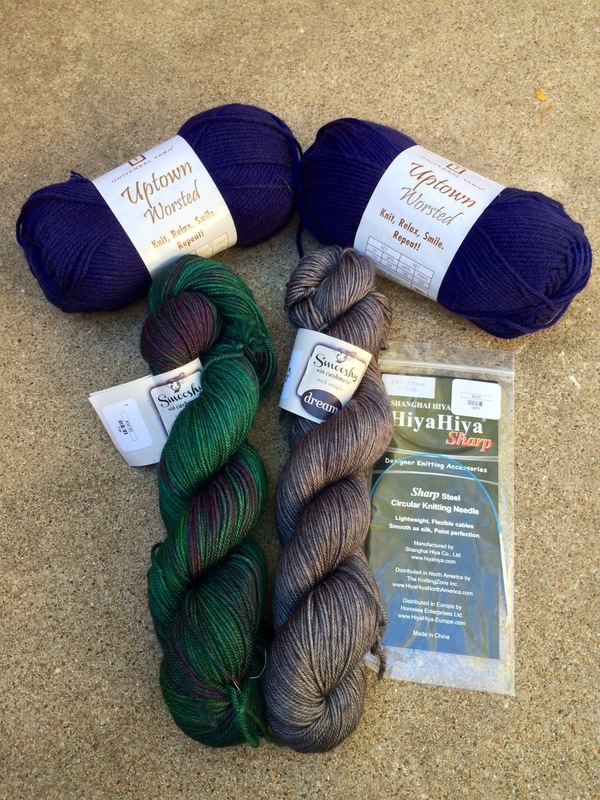 Now for the yarn p0rn…. I was definitely in a sock place this yarn hop. 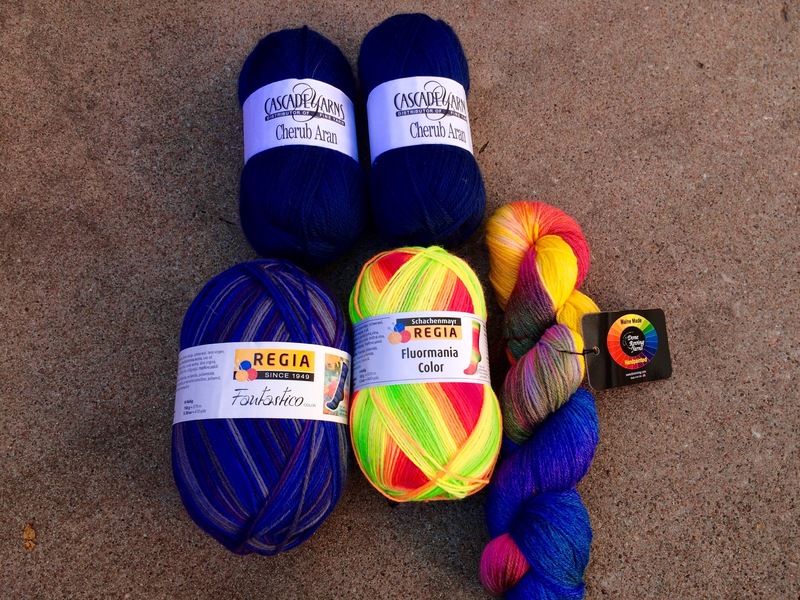 I picked up some sport weight Regia for socks for the hubby. I’m hoping the thicker yarn makes the socks go faster for his huge feet. Next up was some more Regia but this time in Flourmania. 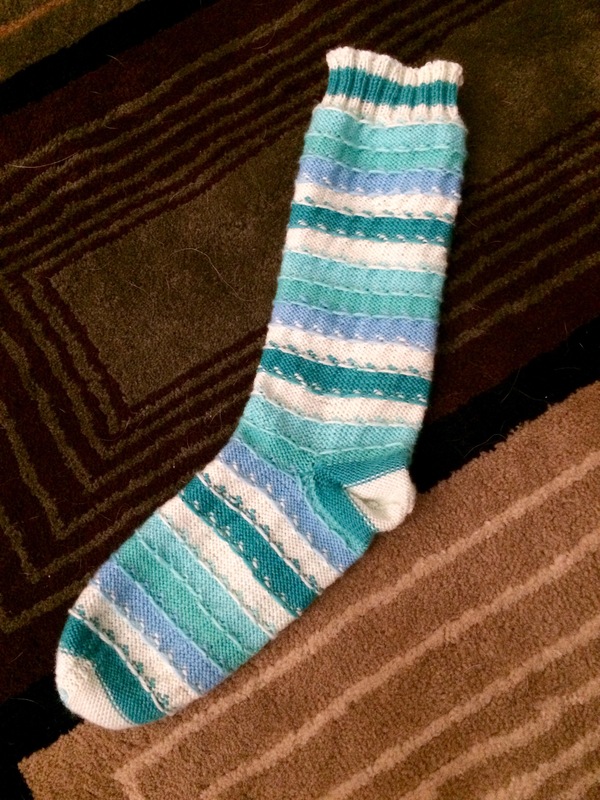 And to round out the sock collection as some Tapping Tootsies by Dove Roving Company. And I was still on the hunt for some yarn for Jellybean so I picked up some Cherub Aran in Navy by Cascade Yarns. 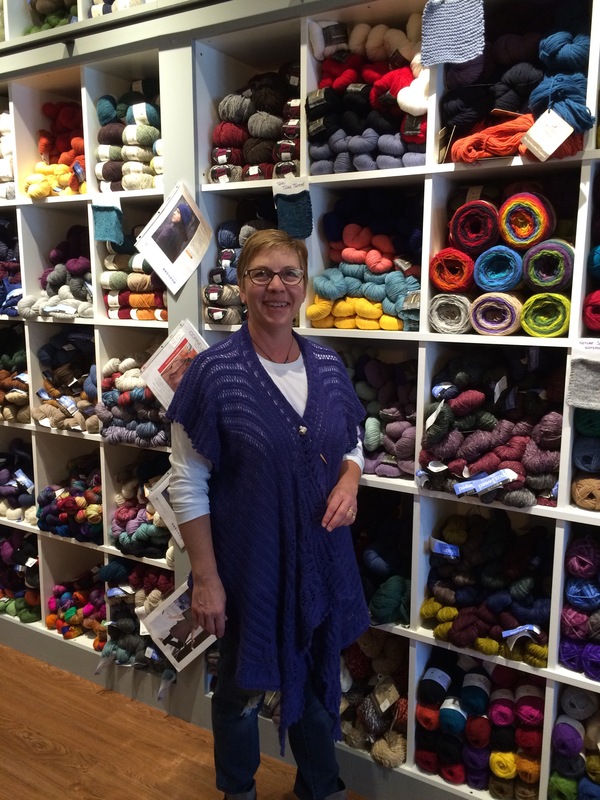 Tomorrow due up is my last stop, so until then….Happy Knitting! 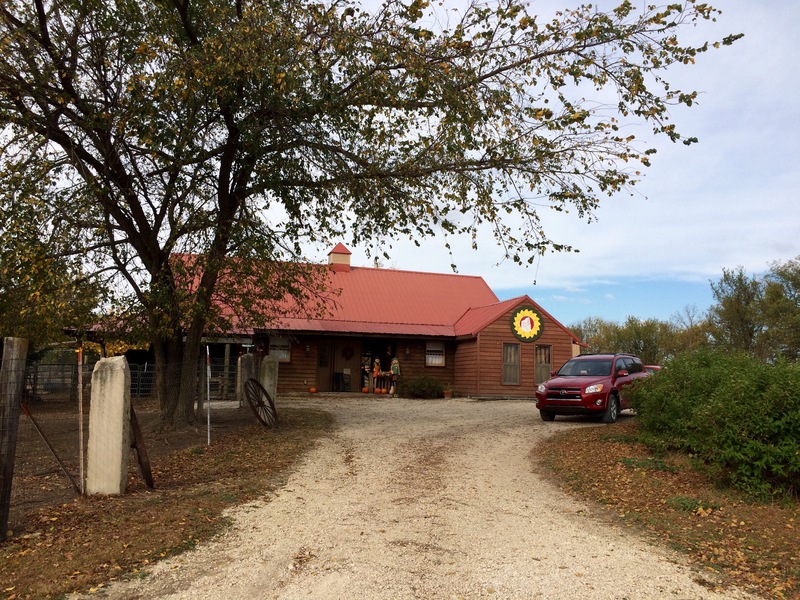 This was my third stop, Unwind in Manhattan, KS. This store was beyond amazing. And I fell down HARD on my yarn purchases in this store. This the lovely shop owner who kindly took a photo for me. And just look at that beautiful selection of yarn! They wrapped my purchases so neatly and gave me a project bag. I think the bag I earned because of how much I dropped at this store, lol. Now for the good stuff, yarn! I picked up two skeins of Uptown worsted in Navy destined to be a Jellybean sweater. 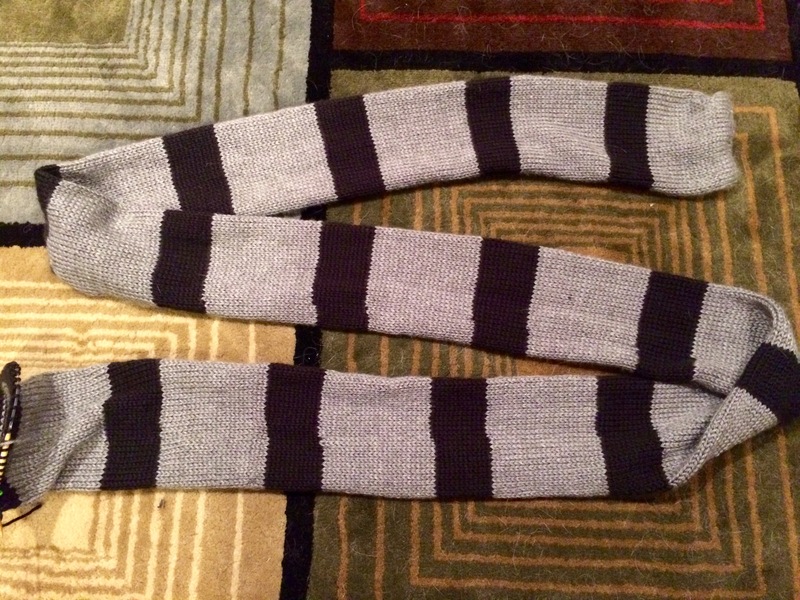 Next up was a set of Hiya Hiya sharps in US 3 9″ circulars for some preemie hats and sport weight socks. But the ultimate was some Dream in Color Smooshy with cashmere. That’s 60/30/10 merino, cashmere, and nylon. I’ve read about other bloggers and heard pod-casters rave about this stuff and I just had to have some. It is SO UNBELIEVABLY SOFT. These two skeins were my favorite purchases of the entire hop! This store was so clean, so friendly, and so well stocked it will not be my last trip there. The parking and traffic weren’t the best but for cashmere I’ll learn to deal!! 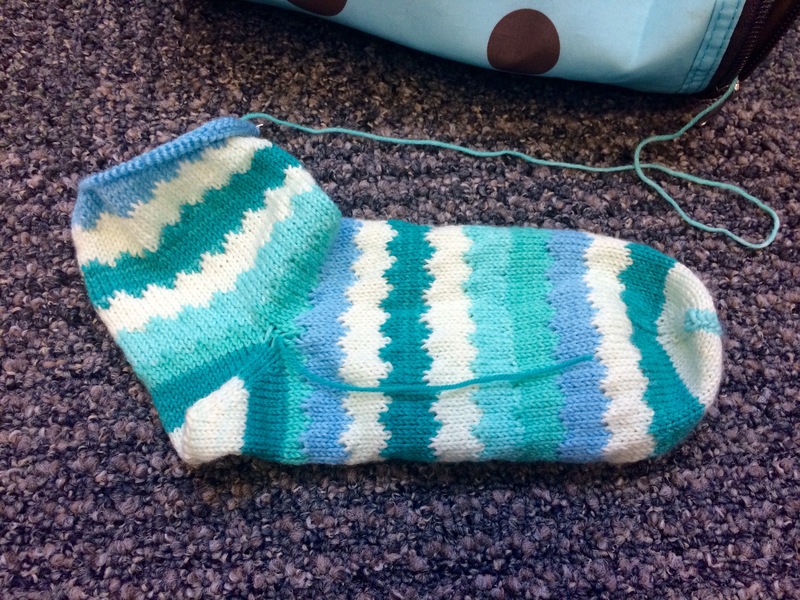 Part three is due up tomorrow and until then…happy knitting! I completed my first yarn/shop hop. Boy howdy was it exhausting! I made five stops out of 10. I made a plan and a budget going in and (mostly) stuck to it. I had an absolute blast. There were newborn puppies, lovely people, snacks, and all the glorious yarn a girl could want. I think I’m going to break up my trip into several posts this week so as to spread out the yarn p0rn. 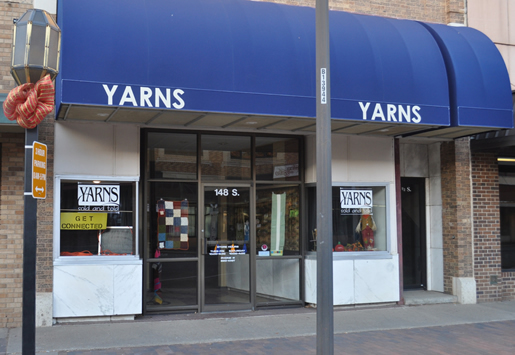 First up was Yak N Yarn of Topeka, KS. This is technically my LYS. And I freely admit I don’t get there much. 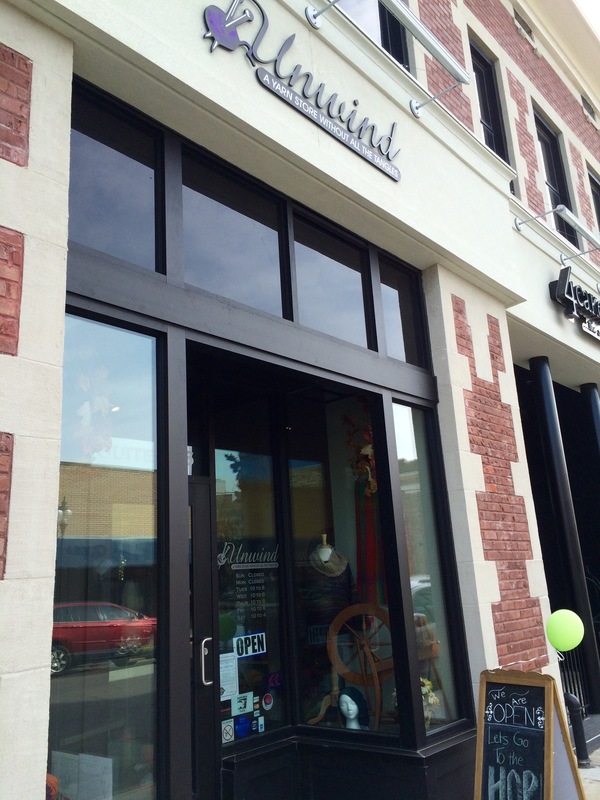 The store has weird hours that aren’t friendly to a working momma and the yarn selection just isn’t that good. I still try to buy from there whenever I can but it’s hard sometimes. 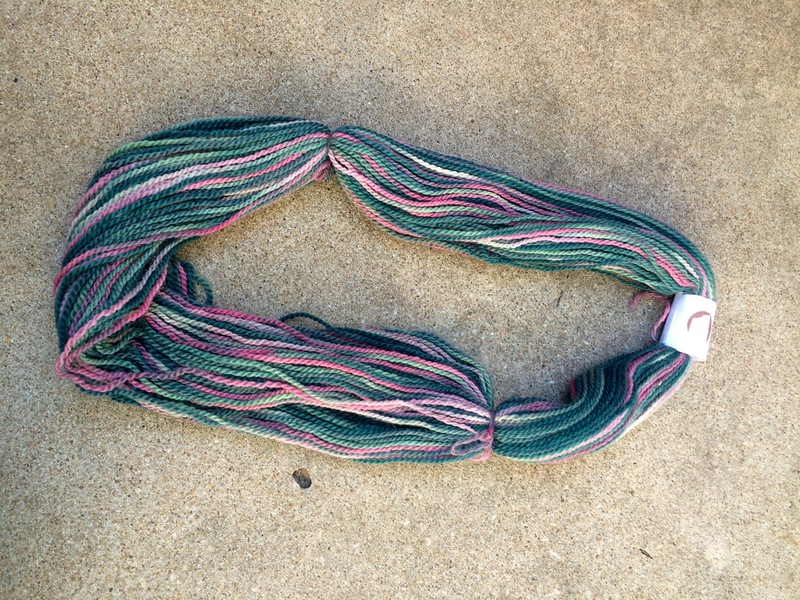 I did pick up something interesting there from the sale bin that was new to me: t-shirt yarn! 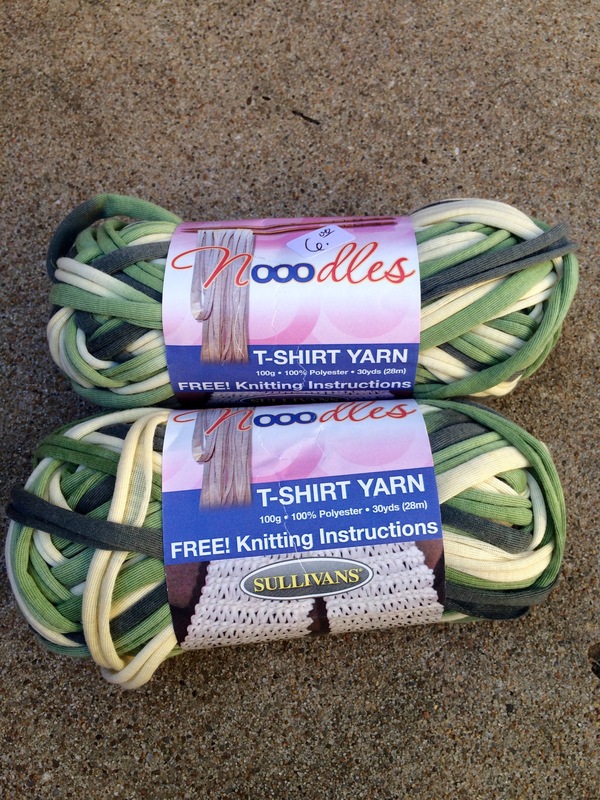 (Me in my “Knittaz 4 Life” t-shirt”) It’s Sullivans Noodles (Cotton) in the Butterfly colorway. I think I’m going to knit this up into a nice smooshy cowl. The greens will go nicely with my eyes I think. 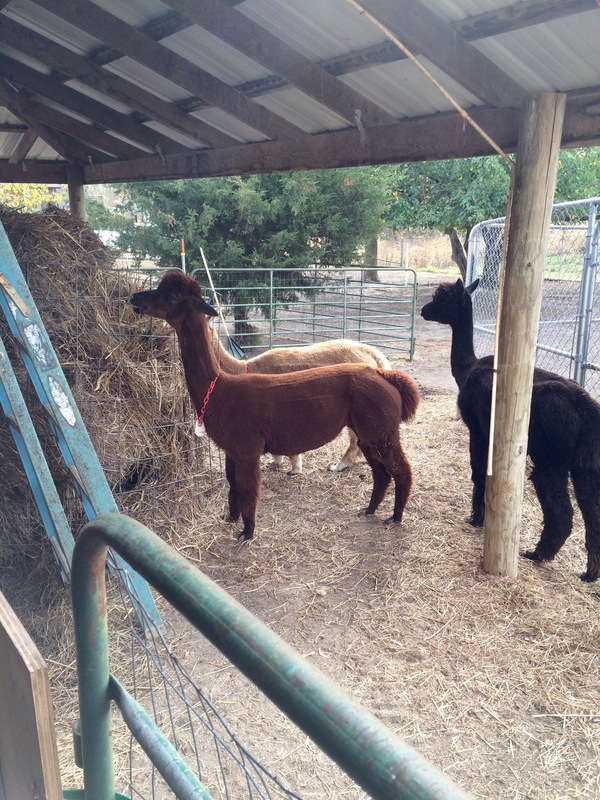 My next stop was Alpacas of Wildcat Hollow. Now this is not a store but an actual working alpaca farm. I had to drive WAY into the country to get to this one and it was worth a stop! I got to see alpaca, chickens, and herding dogs. One of the momma’s had just had pups a few days before. 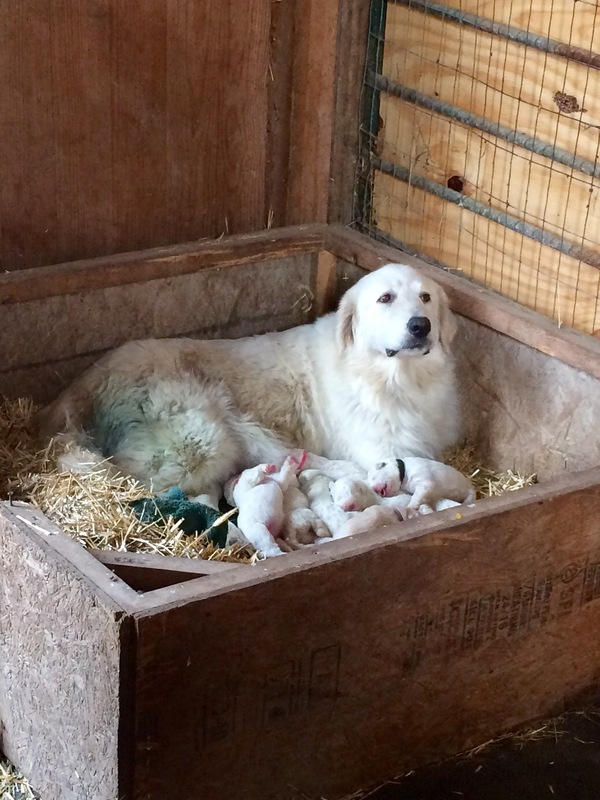 She was a very good momma and very protective of her pups. I did a little tour and then perused their little shop. And in the interest of full disclosure…I’m not a huge alpaca fan. It has amazing qualities and this particular yarn was out of sight. It’s just that it doesn’t fit my current project frame of mind. Nonetheless I still picked up a skein that will destined for soft as air cowl for my gift pile. See the yarn p0rn below. Stay tuned tomorrow for my next stop! 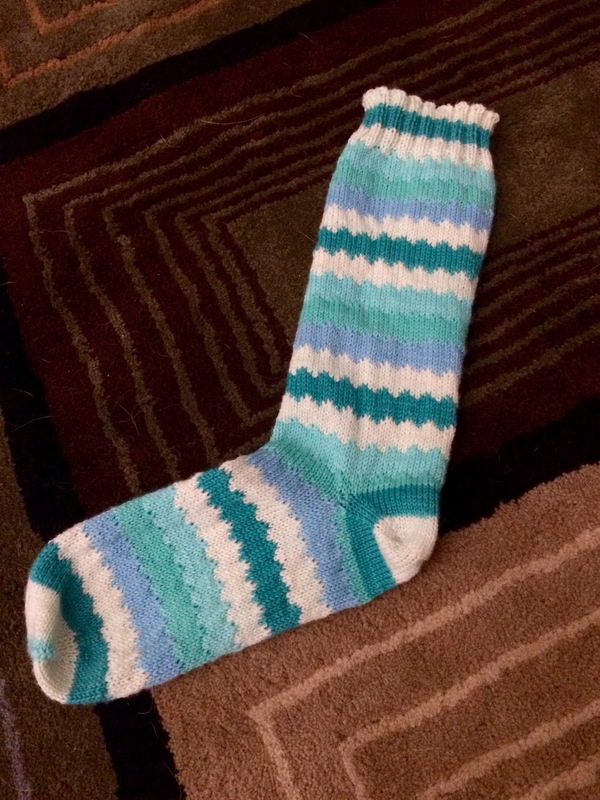 I’ve finished the first sock and the first 50 gram ball of my Knit Picks Felici. I literally cannot put this down, its the ultimate in potato chip knitting. 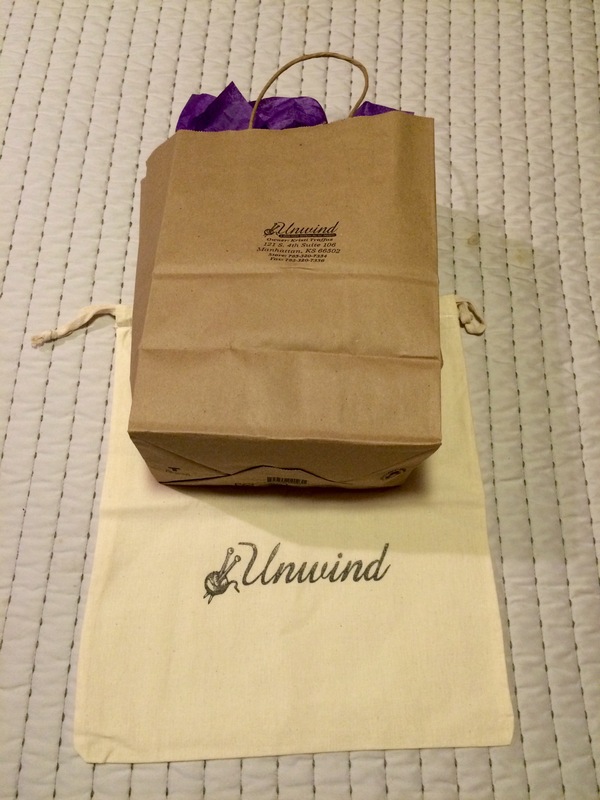 The best part….the inside is just as gorgeous! I’m finally attending my first yarny event! 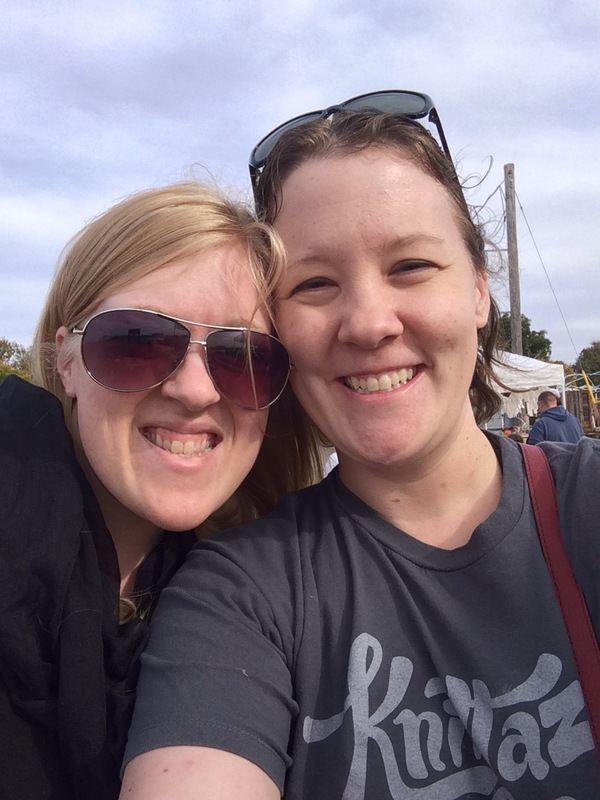 The Central Kansas Yarn Hop is in less than two weeks. I’ve started by making a budget and pulling projects requirements for which I need yarn. I’ve also started a game plan and travel route for hitting five of the 10 shops. The only thing I don’t know if I’m flying solo or or if I can find a fiber friend to go with. I’ve put out feelers. I’m terribly excited for my first “festival” as it’s the closest I’m going to get to a Rhinebeck or Stitches for the foreseeable future. What is your favorite yarn event? My Ocean Geek socks are flying! This is the ultimate in potato chip knitting right now. I literally can’t wait to get to the next stripe. I’ve finished the foot, part of the leg, and installed the (partially) afterthought heel! The fabric of this sock is turning out to be more loose than my others. I’m not sure this is going to be a hard wearing sock. But it will be gorgeous! 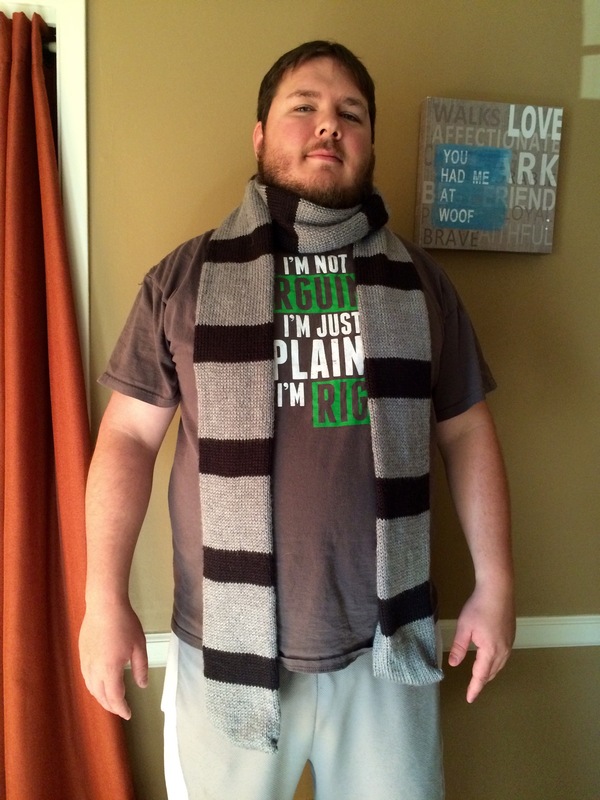 Gru’s scarf is sooooo close! I’m literally three stripes away from being done. It’s t-minus two weeks from Halloween and fingers crossed I can make it!